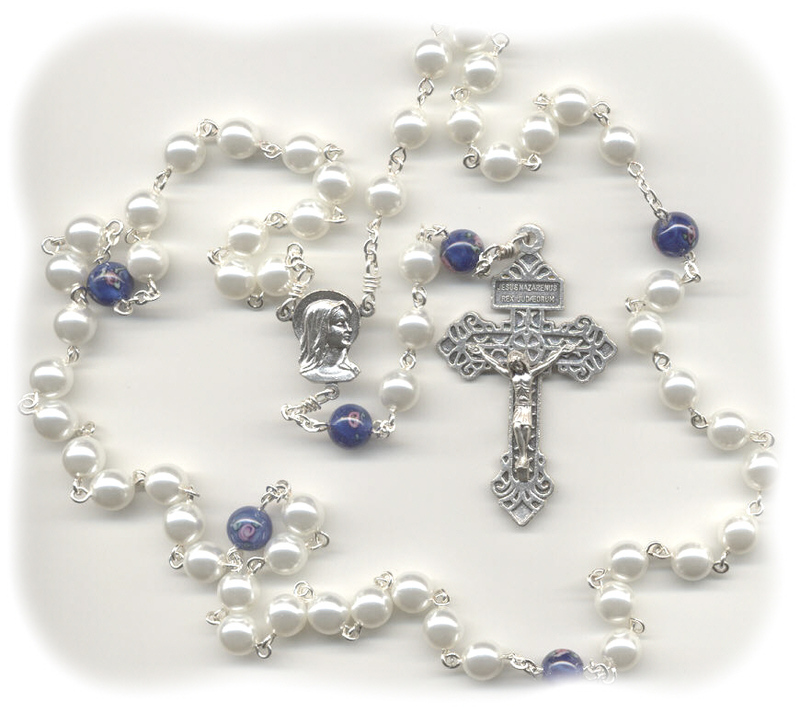 This elegant and simple Czech glass pearl rosary features one of my favorite crucifixes: the Pardon crucifix. All of my glass rosaries are fully customizable and ~made to order~, so please allow an extra day or two for completion before shipping. And remember....every full-sized, hand made, Speziale rosary also comes with a special prayer card and a drawstring pouch for easy storage.